Our Cyclone model breathes power and beauty into your kitchen. A first-class ventilation system is hidden under the perfect curves of the CYCLONE. 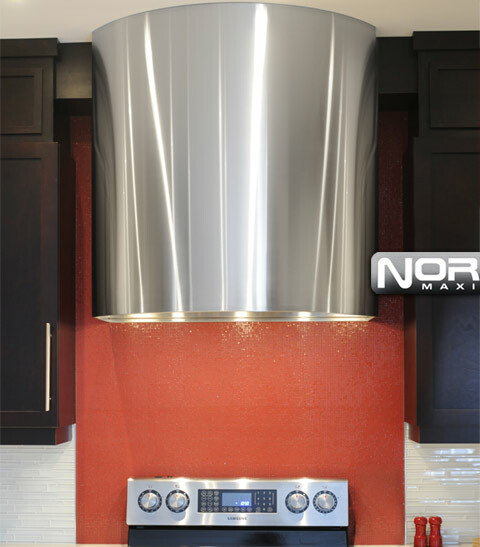 This elegant kitchen hood gives your kitchen a clean and modern look while fitting perfectly with your cupboards.